Henri Cohen conducts research in cognitive neuropsychology, mainly on the effects of brain damage on language and speech. His work aims to better understand the acquisition and development of language among young people with neurological disorders, and the effects of cortical and subcortical damage on language and speech. He also studies the processing of prosody and access to mental lexicon in healthy subjects. 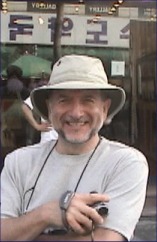 In addition, Henri Cohen collaborats in studies on motor imagery.